Classification essay is an academic paper that classifies ideas, characters, or objects with shared characteristics into specific groups or categories. This is a common type of paper requested in high school and college, but it’s present in higher levels of education, too. The classification essay is different than a usual essay, mainly because it involves more research. Before you start writing, you’ll have to get as much information as possible, and then organize it into categories. This type of assignment is quite common, but a huge number of students are still struggling with it. Do you know why? Your teachers don’t give you a lesson on how to write a good classification essay. They just give general instructions and a theme, and you’re left on your own. Fortunately, this guide will help you understand this type of assignment and write a great classification essay without huge effort. Before you start doing anything, you have to get classification essay ideas. If, for example, your social sciences professor asks you to write a classification essay but doesn’t specify the topic, what will you write about? As you can see, you may take any idea that gets your attention and turn it into a classification essay topic. You’ll just have to observe the phenomenon from different angles and categorize it in different classes. A preliminary research is the best thing to do as your first step. Pick your favorite topic. Then, check out what information you can find online. Do you get any ideas on classification? Is there enough information to support your arguments? The perfect topic will give you enough material to work with, but will also inspire you to manage your time well and start writing the essay right away. 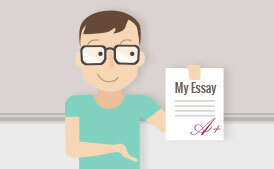 The thesis statement is the foundation of your classification essay. This won’t be a simple classification that seems like a part of a textbook. It should make the reader understand something, and that something will be encompassed in you thesis statement. In this type of paper, the thesis statement should briefly identify the main approaches you’re going to examine. It should set certain expectations for the reader, which you’ll certainly meet throughout the paper. Once you have your topic and the thesis statement, you should proceed with the next step: planning. First of all, you should plan the timeline. How much time will you need for the research process? How much time will you need for writing and editing? You have a specific period of time by the deadline. 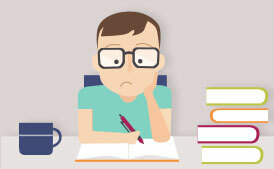 Organize it in a way that allows you to add the task of essay writing without lowering your efficiency on other tasks. That’s possible only when you start early and you cover smaller chunks of work over a longer period of time. Once you set the time frame, it’s time to start planning the outline. The classification essay outline should include all supporting ideas and examples that will explain the classifications you developed. Don’t forget to include your thesis statement at the end of the introduction. The preliminary research hardly provided you with all information you need for explaining all categories you plan to include in your essay. Take your time to do some more research! You already determined your categories and you listed them in the outline. Now, you have to be thorough and find as much info as possible about each of those categories. When you cite reliable and authoritative resources in your paper, it will be more trustworthy. First of all, you’ll need to describe or define each category. Find proper definitions that are clear, but informative at the same time. List down the general characteristics of each category and plan how you’ll discuss them. You’ll notice there are similarities or differences between each category. 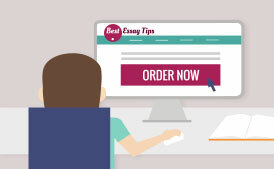 The classification essay allows for comparison-contrast writing techniques, so don’t hold back to rely on them. Update your outline with all new ideas and information you get through this process. Don’t forget to keep track of the resources. Remember: you’ll have to reference them later on, so you have to know where each idea comes from. Finally, you got to the point of writing. Thanks to all preparation stages you went through, the writing process will be much easier than you expect. You already have all info and ideas you want to include in the essay. You already have the outline. Now, all you need to do is connect all those points in a coherent paper. Students often don’t know how to start a classification essay. In the introductory paragraph, you should clearly identify the subject. You won’t start talking about the categories right away. First, you’ll identify the overall concept that you’ll be classifying. You can attract the interest of your reader if you offer descriptive or informative details regarding that topic. Then, you’ll include a thesis sentence that explains the classification that you’re about to develop further. How many categories do you have? That’s how many body paragraphs you’ll need. Keep in mind that the classification paper doesn’t have to come in the standard 5-paragraph form. You’ll format the body of your essay in accordance with the number of categories you’ll explore. Don’t include too many categories, since they will blur your classification. Be very specific and on-point. You will start each paragraph of the body with a topic sentence, so you’ll identify the particular category. Then, you’ll provide more information to get into its specifics. There must be a logical flow between the paragraphs. Arrange them properly, so one thing will lead to another. You may start with the most common and proceed with less familiar approaches, or start with the least effective and move towards the most effective approach. Of course; you can also do it the other way around. The important thing is to maintain the logical progression. Finally, you’ll summarize all points of your paper in a clear conclusion. Mention the various types and approaches you’ve enlisted in your paper. You may include a final comment on each one, but make sure it’s brief and non-repetitive. It was hard to get to this point, wasn’t it? You went through a lot of research and writing. It’s strange to see how many students decide to skip the very last stage, which should be the easiest of all. You must not skip the revisions! At this point, all you have is a draft. If you don’t revise it, you risk submitting an incomplete, flawed paper. You don’t want that. Not after all this effort. Start with the large view. Read the entire essay. Do you feel like there’s a gap in the logical flow? If that’s the case, you should include more information. Is one of the body paragraphs much longer than the others? In that case, you’ll have to edit it down. Clarify your message! Get rid of all unnecessary or overly complex words and phrases. Finally, proofread! Read every single word and sentence and make sure it’s grammatically correct. The process of writing a classification essay can get really messy. At first, you get many ideas and you have to narrow them down. Then, you do the research and you get tons of information to include. You form a clean outline, which will guide you through the writing process, but you usually get more ideas as you write. It’s easy to end up with a messy draft after all this thinking, shifting, rearranging, and researching. But don’t worry; you will fix that mess through a careful revision. Remember: you must start as soon as possible if you want to go through this entire process with no trouble. Are you ready? Of course you are!